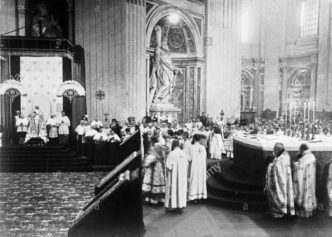 Una sancta – I komu to przeszkadzało? 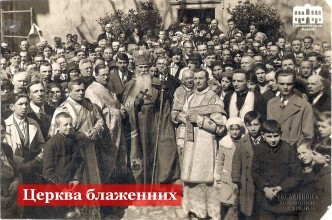 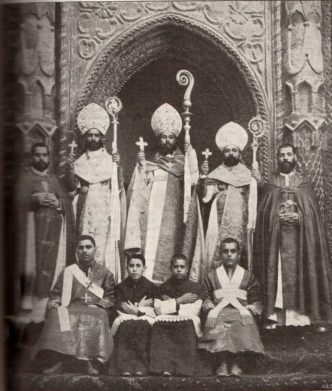 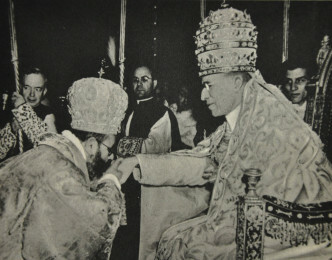 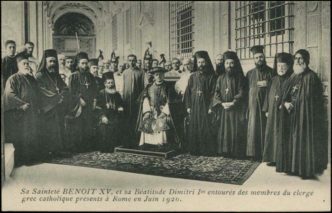 Benedict XV in choir dress and tabarro surrounded by the Eastern Catholic clergy. 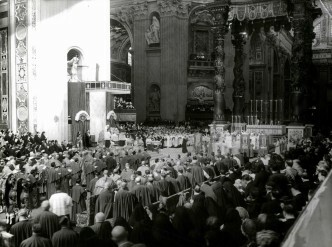 Cardinals paying homage to the newly elected Pope John XXIII. 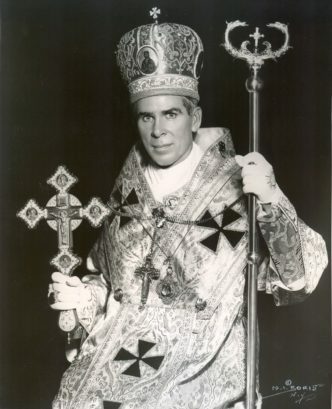 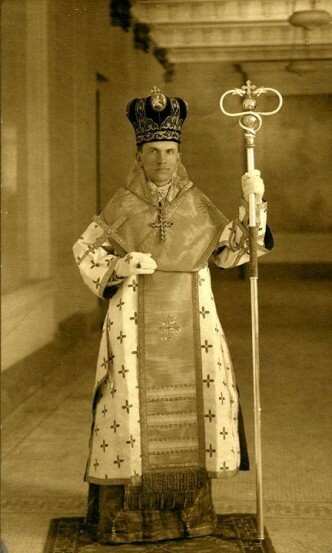 The second in line, in a characteristic cappa magna, is standing Cardinal Agagianian. 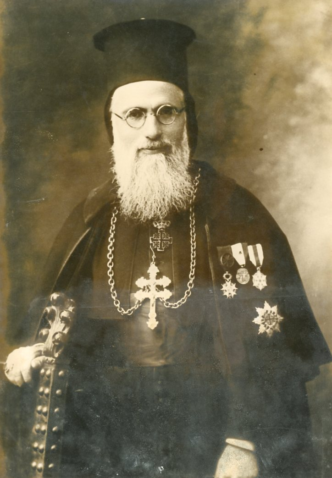 Syriac Catholic Patriarch of Antioch Ignace Gabriel I Tappouni with a double pectoral cross. 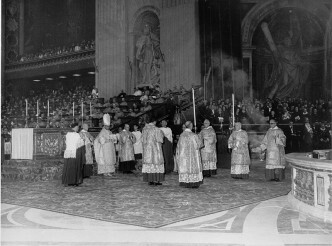 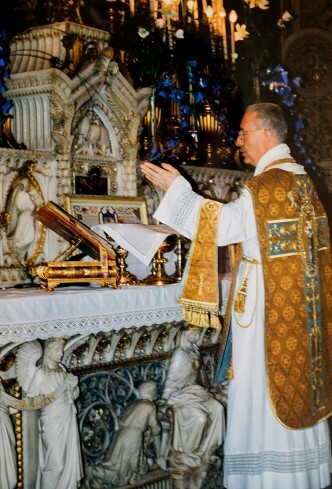 A Holy Mass celebrated in the Ambrosian rite in the Roman Pantheon, May 2, 2010. 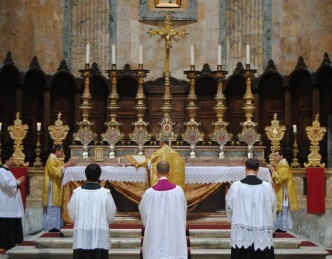 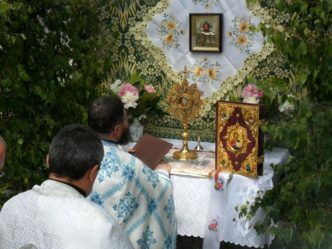 A Holy Mass in the Chaldean Rite – the prayer before the breaking of the Bread. 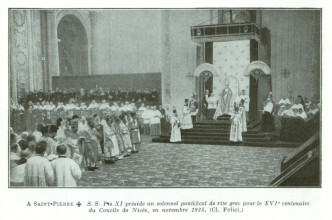 The procession during the 1st. 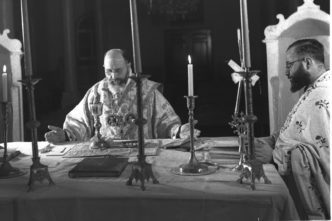 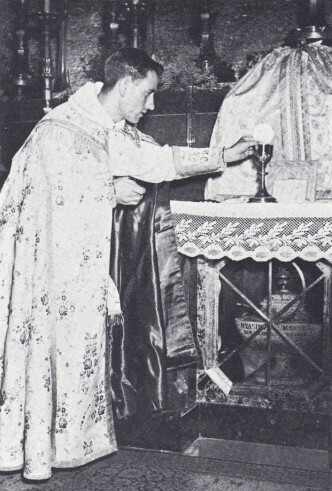 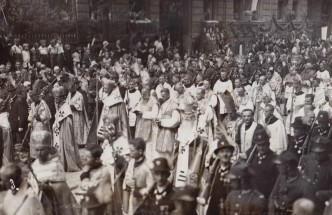 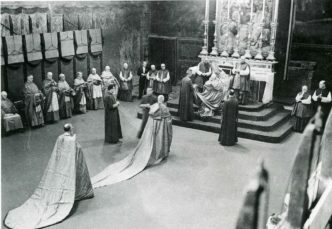 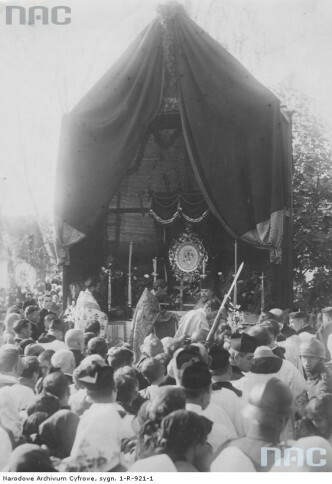 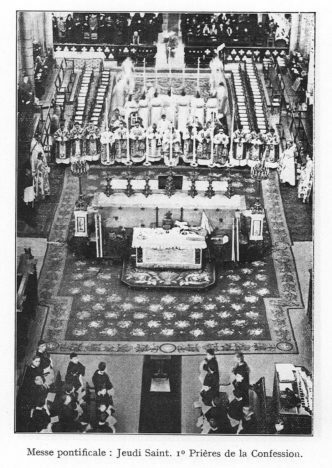 National Eucharistic Congress, Poznań A.D. 1930.